Leaguex Fantasy: There are many numbers of fantasy sports like Dream11, Halaplay, Playerzpot, BalleBaazi are present to Play and Earn Money using your Cricketing knowledge. Now, You will understand that today we are going to share you a new Fantasy Sports site named as "Leaguex". leaguex.com is a newly launched, 100% genuine sports site through which you can play cricket and earn more and more real money. So, to get all details like How to Register, How to Play on this website, read all post and if this post will help you in earning real money can share it with your friends. So, get ready to get all details about this fantasy site. Leaguex is an online Gaming platform which is for the above 18 years old age people to Play and Earn money. You can see a lovely and colorful layout of this website. If you are eligible then you can use your Cricketing Skills to create your own team i,e. You are the owner of your own virtual team(Squad). You have to choose total 11 players from both the teams, Also keep in mind the credits that you have been given to choose your players. When you have created your team select Captain and Vice-Captain. Though its new site, chances are more to win real money. So, register yourself and Make money online. When you visit Leaguex.com. Here, you can see a dark but colorful layout and this is the first step to get registered here. You can do your registration via Facebook and with your Email Address. So, Click on Green Sign button "SignUp" button. You have to fill your E-mail Address and password for your Registration, as mentioned in the picture above. Tick on "I agree to terms and conditions"
After doing that you have to Click on "Create Account" Button. Next, after that, you have to enter your Phone Number. After Verifying your Mobile Number, a new page open here you have to fill your First Name Last Name, Your State, Your D.O.B and Referral Code. To get the referral bonus you have to type a Referral Code "Shyanky48". Now, Filling all Verify your E-mail and Now Login with your E-mail and Password. You can see your Wallet Balance is Rs 25. After the Whole verification process, you will get Rs 200. 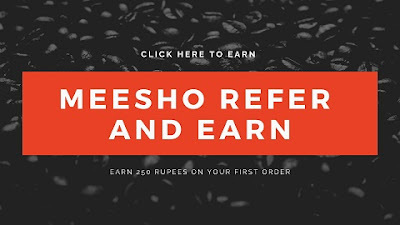 You will get a Rs 100 per referral. When your friend uses your referral code in Sign Up process then you will get the referral bonus. You both will get Rs 25 when your friend joined with your referral code. When your friend verifies all details then you will receive whole referral bonus. You can use your 100% Bonus money in Various types of leagues. Like Halaplay, You can edit your team(Squad) until the last second before Match Starts. The layout of Leaguex fantasy is tremendous, its user responsive. Stirke Rate made Cruicial role in upgrading and downgrading. Economy rate also plays the main role so select suitable Bowler. Note: Captain scoring 2 times and Vice-Captain scoring 1.5 times than usual player. Also Read: Trick to use Paytm "FirstTimeLucky" code mutiple time on single Paytm Account. First of all, you have to select an upcoming match. You have been given 100 Cr. through these you to create your 11 players squad. You can select maximum 7 players from one side team. Once you make your squad choose Captain and Vice-Captain. After completing your squad, you can join any league that suits your Wallet balance. You can add balance through Paytm, Debit Card or Net Banking. Once you join any league, can check your points from time to time. Adding Balance: Leaguex provide the various method to add money to your Wallet like Credit Card, Debit Card, Net Banking, and Digital wallets like Mobikwik wallet, Airtel wallet, Oxygen wallet, FreeCharge and Jio Money. This a safe and secure way to add money. Winnings: Once you join your leagues just sit back and watch the match or check the updates in around a minute. Final updates you can see at the end of the match. When you win more than Rs 300 or your wallet shows you a Rs 300 as winning than you will be eligible to withdraw your winning balance to your Bank Account. But as we told you above that only the age of 18 or more than 18-years old people can play and earn money will keep in mind. Verification: When your leaguex wallet shows you a total of Rs 300 as winning amount and you wants it to withdraw to your account then you have to verify your profile completely. The verification process is necessary to withdraw your winning amount. For Verification process, you should require some documents. Firstly check your Phone Number is verify or not. Next, You have to upload your PanCard Details like Pancard Photo, Name mention on PanCard, Your D.O.B, Your Name mention on PanCard. It takes around 2 working days to verify your PanCard. When your PanCard being verified then you a non-reply mail that "your Pan is being verified" on your Registered E-mail Address. After that you can upload your Bank Details and when it verifies you can withdraw your winning amount. Withdrawl: You can withdraw a minimum amount of Rs 300 to your Bank. Final Thoughts: If you are a fantasy sports players and wanted to earn more real cash then we recommend you to play Leaguex Fantasy. There is low rush and chances of winning is high so play Leaguex.com and transform your cricketing skill to a next level.